The British were working hard and looking forward to replacing the Merlin engine with the Rolls Royce Griffon. Although this finally came to pass with their Spitfire, a wartime mating of the Griffon to the Mustang was not to be. Had it happened, it might have looked something like this. I shot this photo at Chino, California in 1974 on the occasion of the first run up of the Reno air racer Red Baron after its conversion to a Griffon engine. 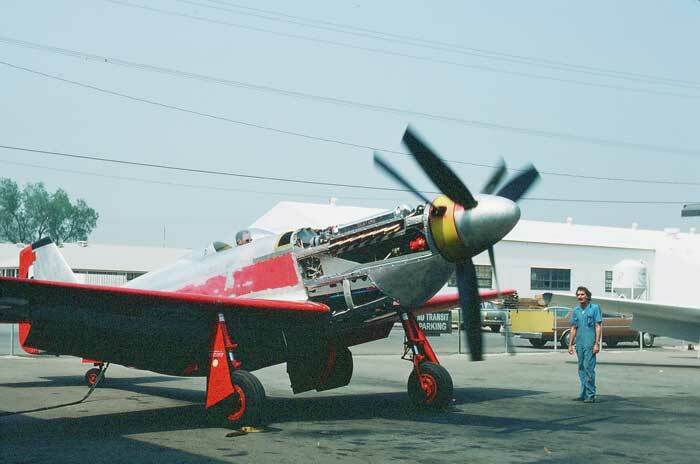 Contra rotating props were used to absorb the tremendous power output.